Collision with an 18-wheeler semi-truck can be terrifying. Accidents with such heavy vehicles almost always end in causing injury to the people involved. More often than not, the ones driving smaller vehicles or walking along the road are the ones who get hurt the most in such accidents. Even with advanced braking technology, the size of the vehicle can make it difficult to delay the moment of collision, and increases its impact manifold. Every year, more than 500,000 truck accidents occur within the United States. Most collisions involving heavy vehicles are preventable. The work practices followed by the transport industry should limit the working of long hours by drivers, reduce prolonged night work, and discourage irregular work hours and early start times. Even with rigorous professional training, long-haul truck drivers cannot ignore the biological need for sleep and rest. The risks associated with fatigue are greater for these drivers primarily because of the nature and demands of the job. The impact of colliding with a heavy-vehicle can cause severe injuries and damage to property. These are situations when it may be more dangerous to stay inside the vehicle after the accident. Make sure that you vacate the vehicle without further hurting yourself. See the commotion on the road around you, before stepping out. Be careful of broken glass, exposed wiring, and sharp objects. If you smell gas or fuel leak, then you need to step away from the vehicles immediately. There could be a fuel leak in any of the vehicles and can lead to fire or explosion. Ensure that everyone at the collision site is away from the vehicle. Never stand behind or in front of the vehicle, as you may not have a clear view of the oncoming traffic. Call 911 and stay on the phone until officers reach the accident spot. Do not hang up until the dispatcher/operator has instructed you to do so. He/she can guide you through emergency situations like the actions to take in case of an explosion due to fuel leak, or when severe injuries are sustained by victim(s). If you aren’t gravely injured, then take pictures of the accident scene from various angles and distances. Show the images to the reporting officer and ensure that they are included as evidence in the accident report. Refrain from voicing your opinion about how the accident happened, as this may create a prejudice against you in the mind of the officer. You could be wrong in judging the situation. Also, take pictures of skid marks on the pavement or the property damage from the accident. The images will ensure that your attorney, insurance companies, and the judge/jury are provided with a visual representation of the damages. Check for your injuries and also see if the driver of the semi-truck requires immediate medical care. Ask the 911 dispatcher/operator to send an ambulance to the location, if you think the casualty may not be able to travel to the medical facility. Driver fatigue is recognized as a major risk factor for all drivers, especially for long-haul truck drivers. This syndrome contributes to multiple road crashes, and can get worse with high-speed driving and consumption of alcohol. Fatigued truck driving accidents can be fatal for the drivers and the people in other vehicles traveling on the same route. 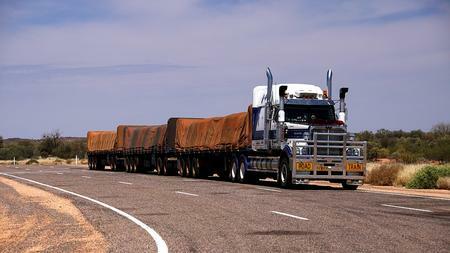 Obtain information from the truck driver about the driving schedule. Also, gather the names, phone numbers, and addresses of witnesses present at the accident site. A police officer may interview the drivers and any witnesses at the accident scene about the car accident. Don’t be harried by the number of questions, as these are designed to piece together the details to analyze the accident. Ensure that you collect a copy of the report from the officer or from the local police station. The accident report may contain a statement about who was at fault based on the reporting officer’s judgment. Consult an attorney to help you with the legal proceedings that will follow. Speaking about truck accidents, an experienced New Orleans truck accident attorney mentioned, "Many police reports do not include a determination of fault for the accident. You should understand that even if a police report states who was responsible for a car accident, this does not automatically mean that the accused is held legally responsible for damages, unless proven in court." After you have spoken to your attorney, you need to inform your insurance company about the accident at the earliest. Once you have filed a claim with the insurer, the company will assign the claim to an adjuster. The assigned official will conduct a thorough investigation of the accident, including the condition of the vehicles, weather and traffic conditions, and the state of mind of both drivers. The transportation company owning the 18-wheeler semi-truck will consult its insurance company, and adjusters from both companies will mediate the claim. You can ask your accident lawyer to represent you when handling correspondence with insurance adjusters. Post-investigation, the adjuster will finalize the settlement amount for the insurance claim. After a crash, you may experience multiple emotions like fear, nervousness, or anger, which may obstruct you from making sound decisions. Accidents can easily happen when drivers of 18-wheeler trucks and trailers face situations like driver fatigue, overloaded trailers, negligence by overworked drivers, and so on. You need to calm yourself and bear in mind the above-mentioned steps to make a judgment on handling the difficult situation in the best way possible.